How do I find a journal online? I need one on genetics or heredity. - Ask Us! Q. How do I find a journal online? I need one on genetics or heredity. The best way to find a specific journal or those in a particular subject, is to use Journals A-Z The link is found on the Library home page. Search using "title contains" rather than "title starts with". Use the arrow in the pulldown box to select it. The results wil display in alphabetical order. 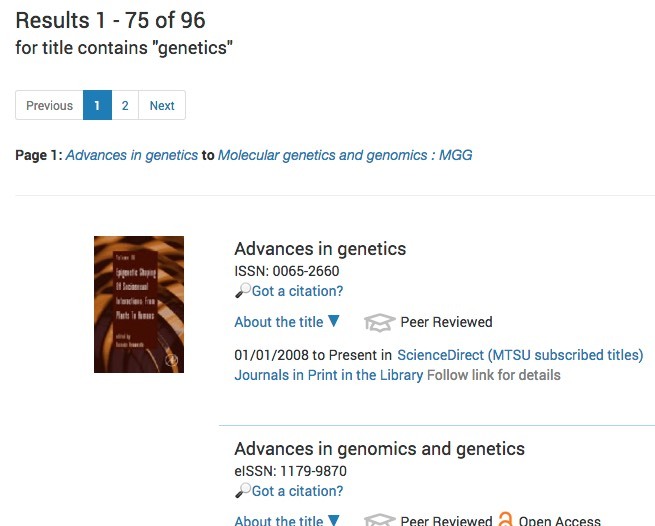 Both electronic and if available, print journals will appear.